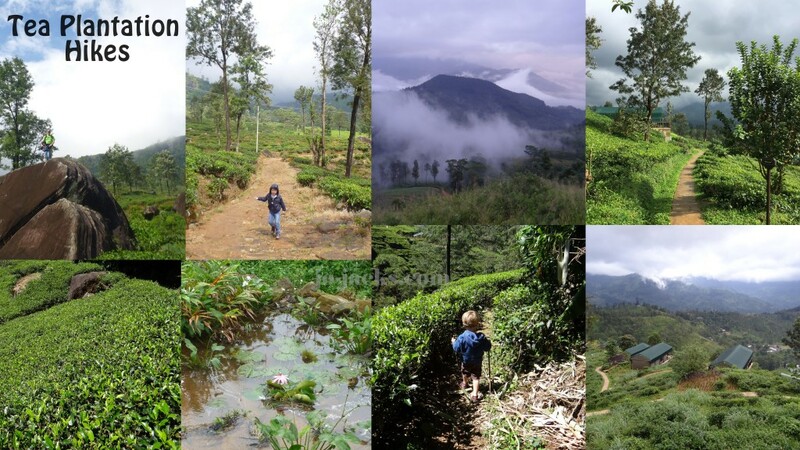 We found family hikes in Ella and farther into Tea Country that were easy and beautiful. We loved visiting Ella. 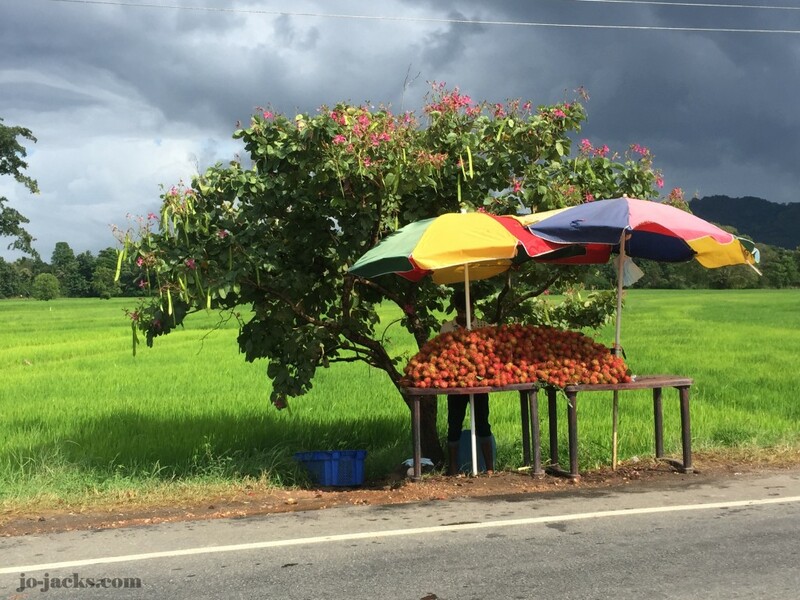 The drive from Udawalawe up to Ella was beautiful – full of lush green rice paddies and vibrant road-side fruit stands, Buddhist temples, and water buffaloes. You wind up the mountain side on a narrow road, gripping the arm-rail as you pass waterfalls and monkeys swinging through tree-tops. 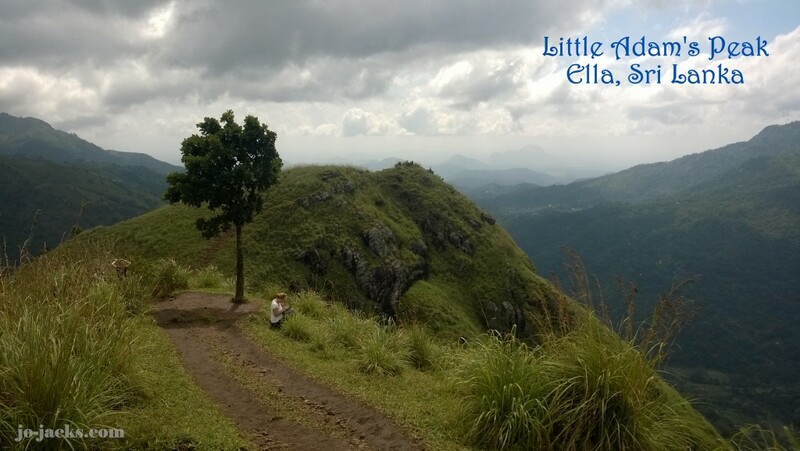 Finally you reach the mountain-top town of Ella. 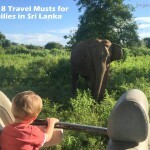 This feels a world away from the beaches and safari parks of Southern Sri Lanka. The air is cooler and often misty. 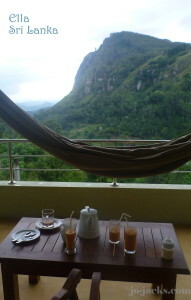 And the views are spectacular. 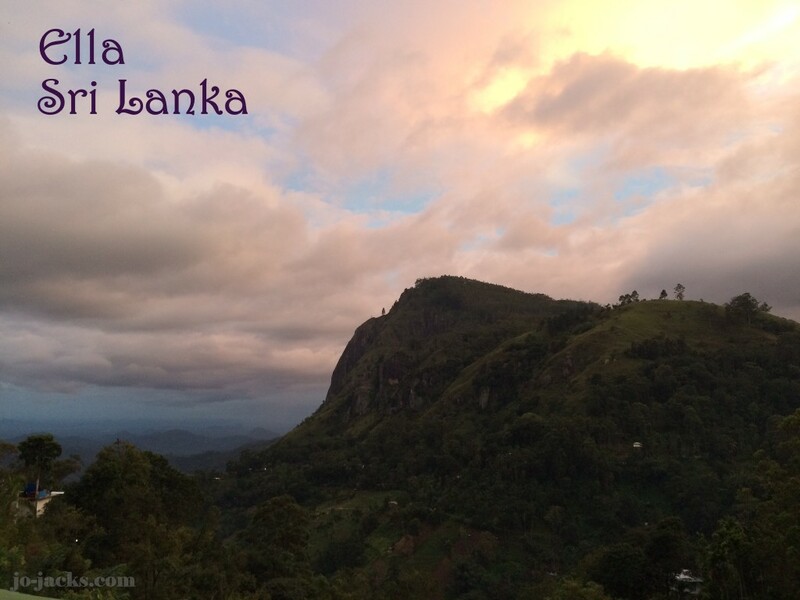 Our fabulous driver/guide showed us a very nice and easy hike that our family could manage called Little Adams peak. 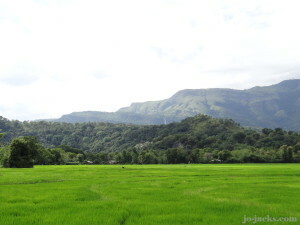 The entrance is just past the town center, next to the Ella Flower Garden Café. 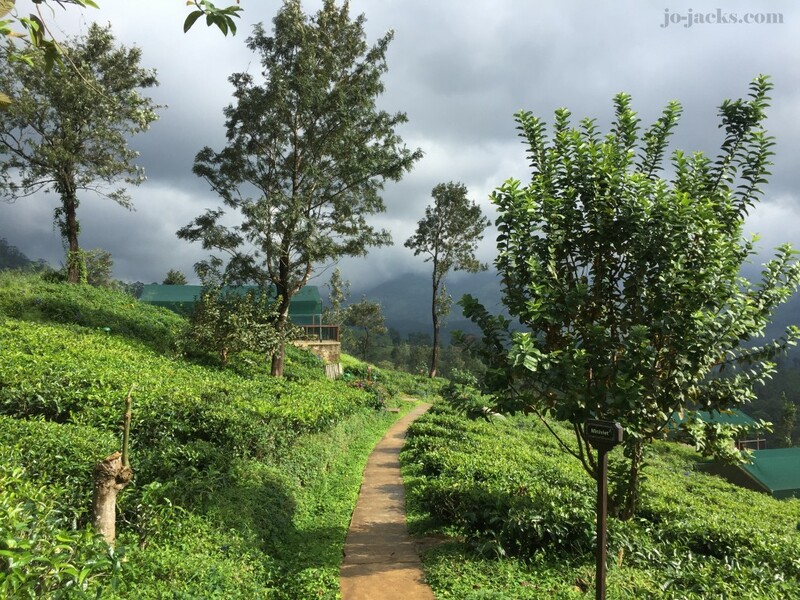 The hike will take you up a dirt path through a tea plantation, passing a turn-off for the 98 Acres resort, and then up a steeper mountain–top. 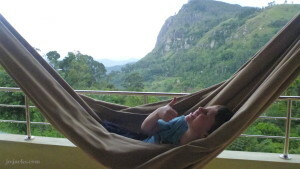 The view at the top is wonderful – across the “gap” = valley, over to Ella mountain top. There are two peaks on this hike. 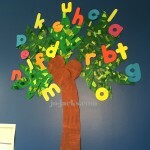 The first one is quite manageable with children, although there was plenty of carrying on shoulders and in the baby backpack. The second peak is harder to get to – it has some spots so steep that you are climbing on hands and knees. We didn’t risk that climb with the children. The climb to the top and back down took us about 2 hours, moving at a fairly slow pace. The temperature here can be as high as 31 °C so it is very important to have plenty of water at the ready! Luckily we already had a backpack for the job, but if you are thinking of coming here to do the same walk, you should visit a site like Arkadia Supply in order to order your own lightweight backpack for the journey! The only downside was that the path was muddy and in the mud are leeches. 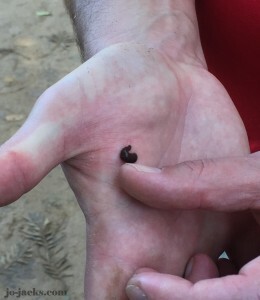 One caught onto my husbands’ hand – gross. 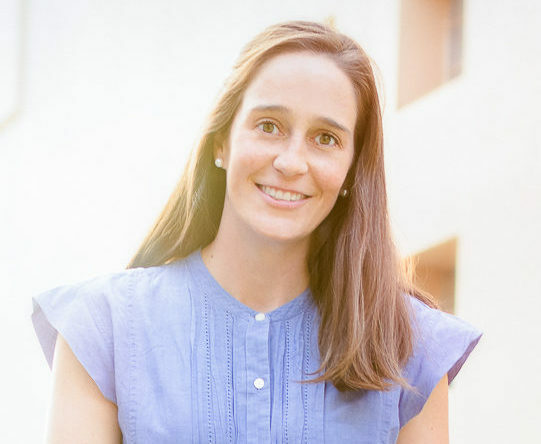 See the family tips at the bottom for prevention and removal techniques. 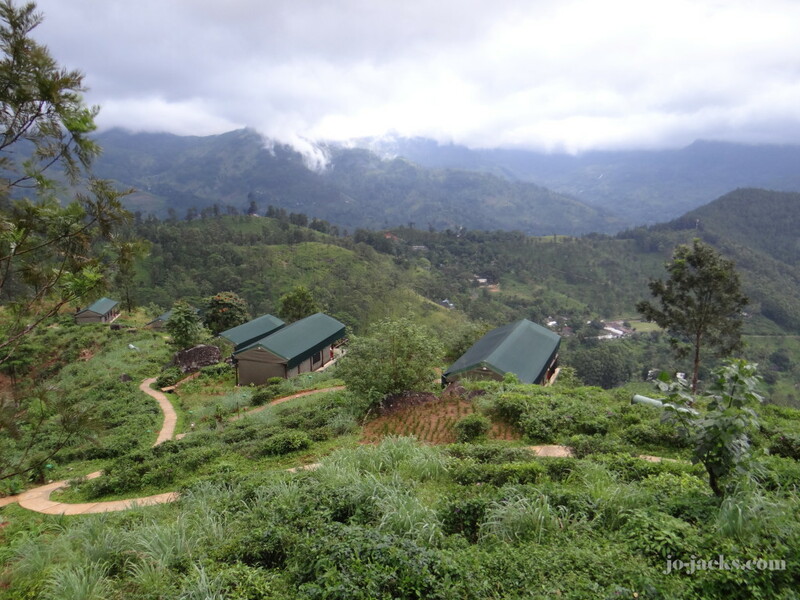 A nice stop and hike between Nuwara Eliya and Kandy is at the Macwood’s Plantation. 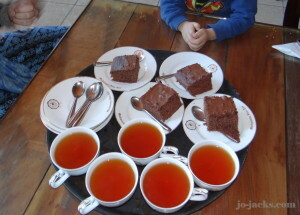 We enjoyed going into their café for a cup of tea and some chocolate cake. At Christmas time their decorations were lovely. Outside is a beautiful view of the hills covered in tree bushes. From the back patio there is an easy walking path that takes you down to a stream and can be taken to look at various waterfalls. 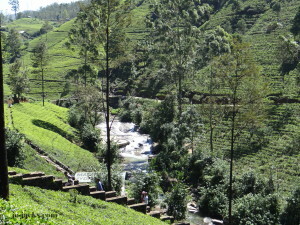 This was a nice way to stretch out our legs during the long car ride to Kandy. 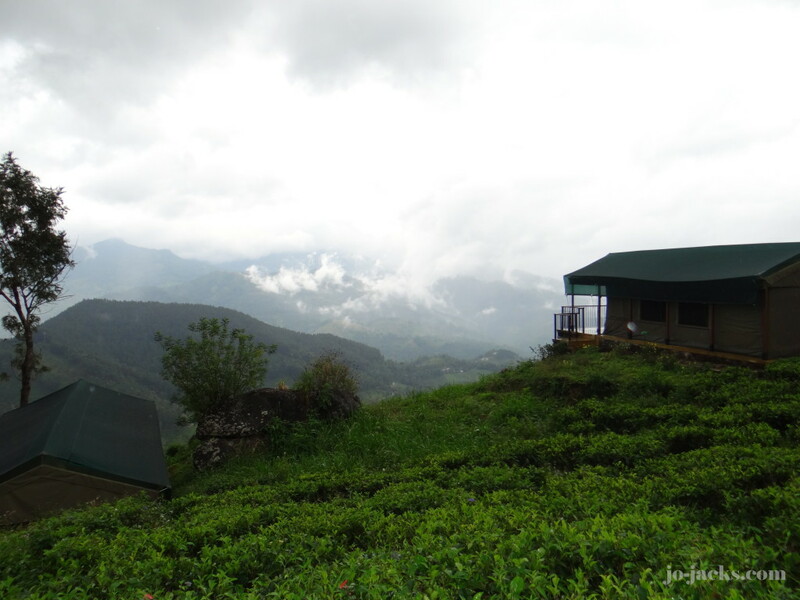 We stayed for a couple days at a stunning eco-lodge on a tea plantation. 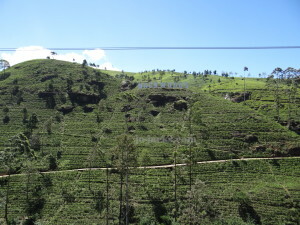 It was up near the Knuckles Range area outside of Kandy. For the truly avid hikers, this is a great area for more difficult hikes. 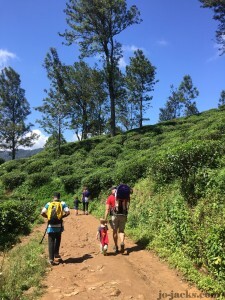 For our family, we were content to take a hike up the dirt roads that wound around the tea plantation. 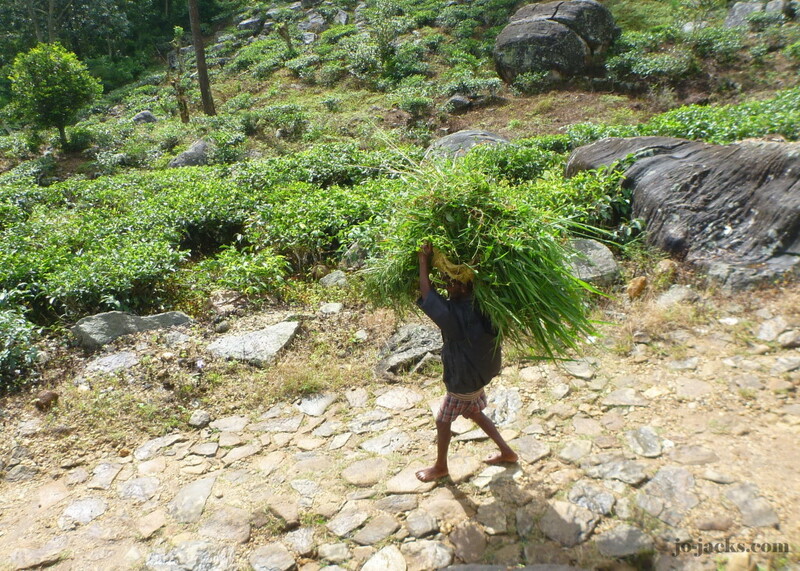 We saw tea workers carrying heavy loads. 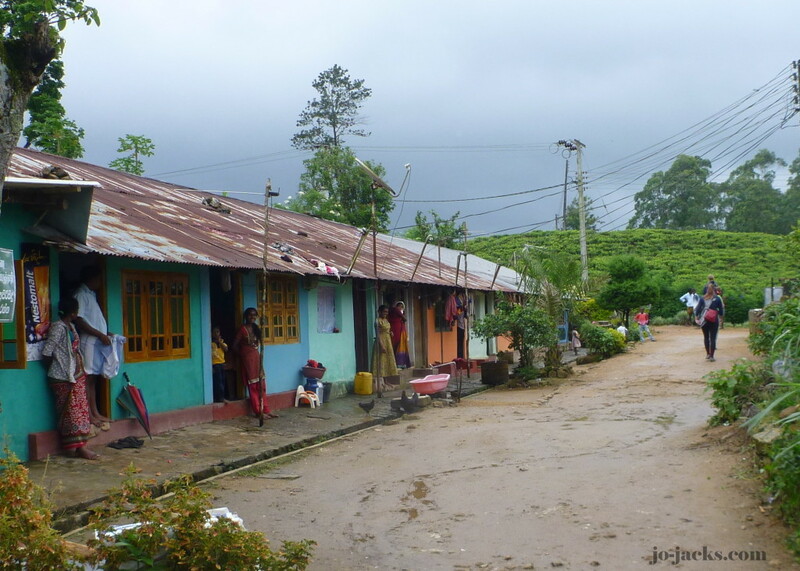 We also passed through a small housing area for the tea workers and saw them on their way to the Hindu temple. 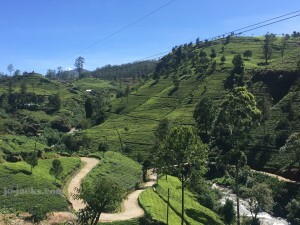 This was a great opportunity to teach our children about how tea leaves are grown on bushes on hillsides, picked by hand, and then processed at the nearby tea factory, eventually being sold at a grocery store. 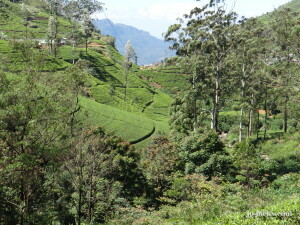 The scenery and the views up here in the less populated part of tea country were incredible. We were there for New Years Eve and had a view of 100’s of fireworks being set off all over the hillsides. The weather wasn’t great during our trip – mostly cold rain and clouds. But we didn’t let that stop us. With 3 boys we have to get outside and burn some energy!! 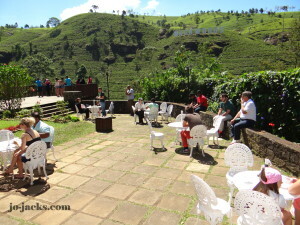 We enjoyed the curry buffet lunch at the Ella Flower Garden café next to the mini-Adam Peak entrance. The restaurant has many cages of birds, bunnies, and owls to entertain the children. It also had clean bathrooms. 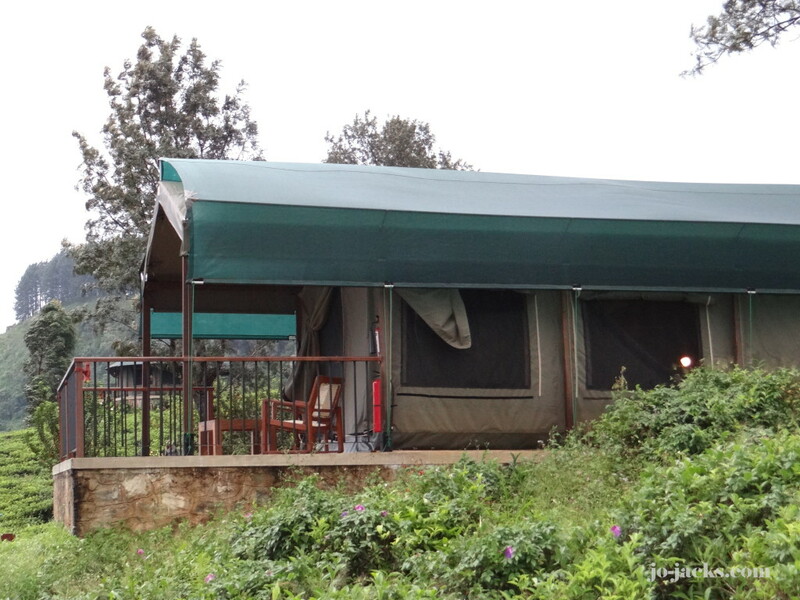 Rain jackets and decent hiking shoes or athletic shoes were necessary for the family hikes in Ella and tea country. Check yourself and your children thoroughly for leeches after hiking if it has rained recently – underneath the clothes as well. Our guide almost made us lose our lunch when explaining what could happen if a leech crawls up a child’s leg into the private parts. Ickk! But don’t let this deter you. 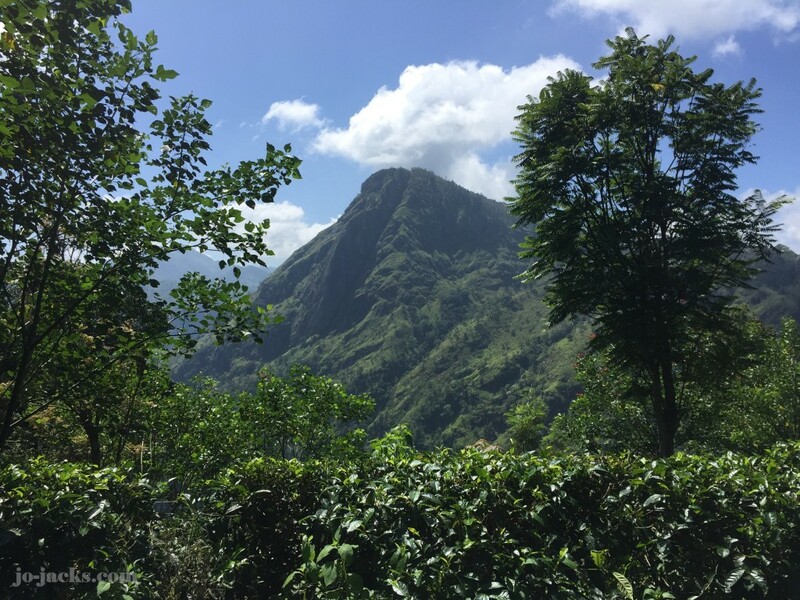 The hikes are still very worthwhile and that’s just part of embracing the outdoors – accepting the nuisances to enjoy nature’s joys. We carried some salt packets to get them off and tucked pants into socks, which helped. 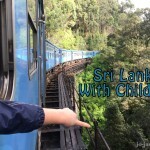 For educational activities that compliment the Family Hikes in Ella, please click here.